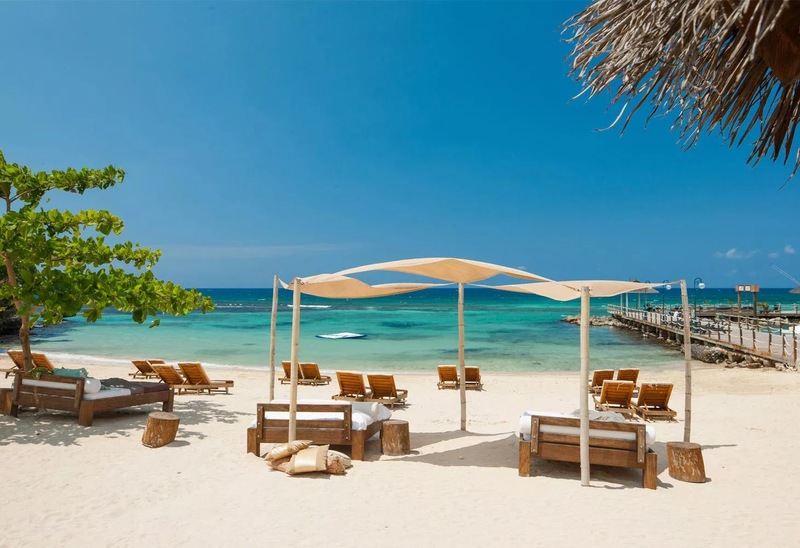 Sandals Resorts spread across six Caribbean nations, offering 16 adults-only properties that cater to destination weddings, honeymoons, and couples who want to vacation without carrying cash. The all-inclusive system works well in beach settings, where patrons can order food and drink without worrying about a bill or a tip. 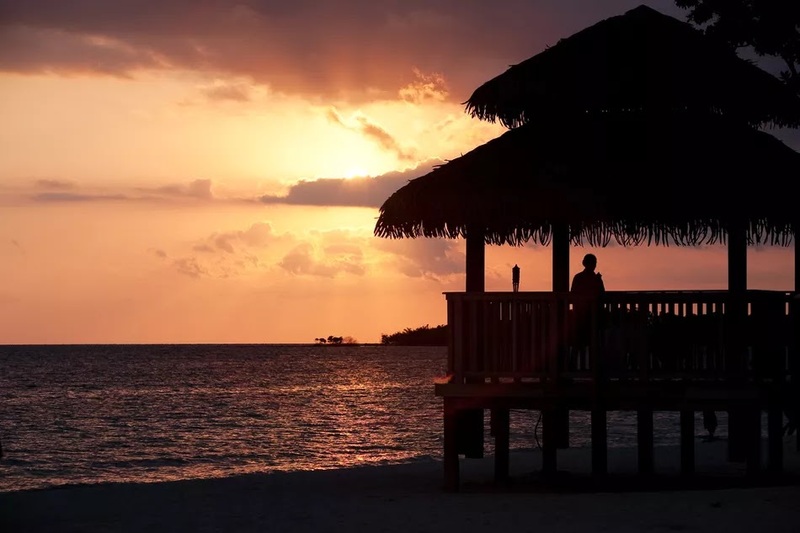 Some travelers new to Sandals experience temporary sticker-shock as they look at rates, but it is possible to take a vacation at these resorts without spending any money beyond the all-inclusive rate. Among the exceptions: spa treatments, golf caddies, off-property tours, phone calls by landline and medical treatments. 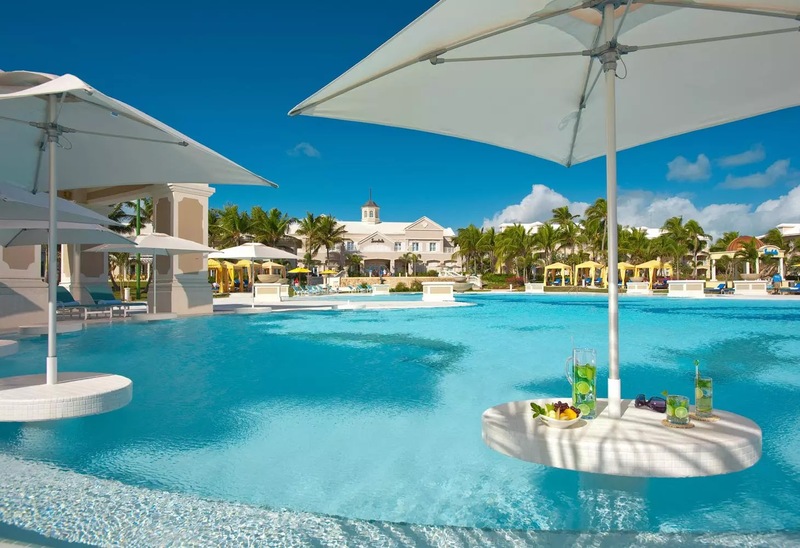 Although Sandals offers promotions on various room types and resorts, prices are largely set. Therefore, it is essential that travelers seek out value and plan each visit carefully. Here are seven tips to make the most out of your Sandals trip. Navigating the Sandals pricing structure is a complex process that leaves novices somewhat bewildered at first. It starts with the level of service selected. At the standard level, all dining and beverage services during your stay are included. 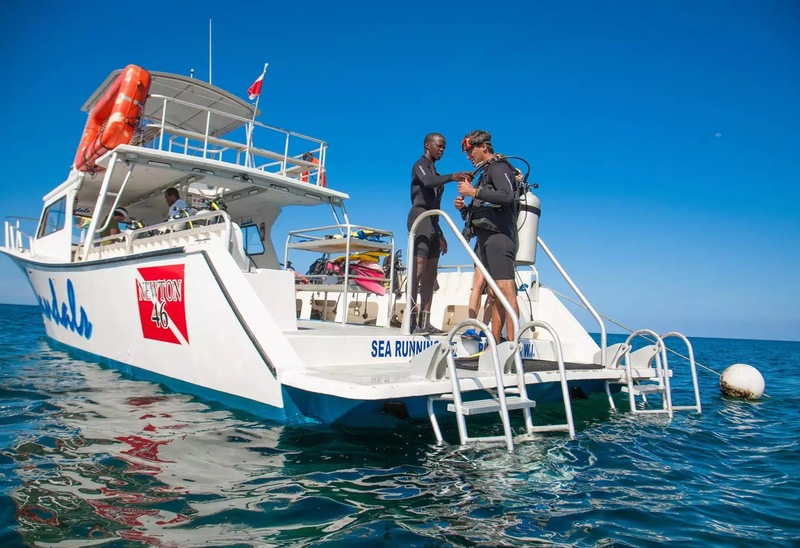 So too are on-site water sports such as snorkeling or scuba diving (for those already certified) and land sports such as tennis and golf (green fees for two) are included. Non-alcoholic beverages in your room’s refrigerator are replenished each day at no charge. Alcoholic beverages (even top-shelf brands) are free at the bars and restaurants, but are not found in your room. Airport transportation comes at no charge. At the club level, the standard amenities meet additional perks, such as premium alcohol stocked in your room and free room service from 7 a.m. until 10 p.m. Hospitality starts at the airport, where cool towels and a welcome drink are waiting as transportation arrives to your resort. At the butler service level, you get all of the club amenities plus your own personal butler, who will attend to every need in short order. This includes taking care of your laundry, arranging for a romantic patio meals or an in-room dinner, and more. Unlike most Sandals employees, butlers are allowed to accept tips, but will never solicit a cash reward. Are you content to order drinks after dinner and bring them back to your room? If so, you might not need the club level benefit of the in-room bar. On your honeymoon and want every detail to be perfect? It might be worthwhile to secure club or butler service, as this is a trip you will never forget. When you speak with the company’s marketing representatives, they will tell you they never put products on sale. But Sandals webpages are plastered with claims of big discounts and online credits. The marketing people speak the truth. There are no major sales. So-called discounts are part of a permanent pricing structure that involves artificial prices no one is paying. 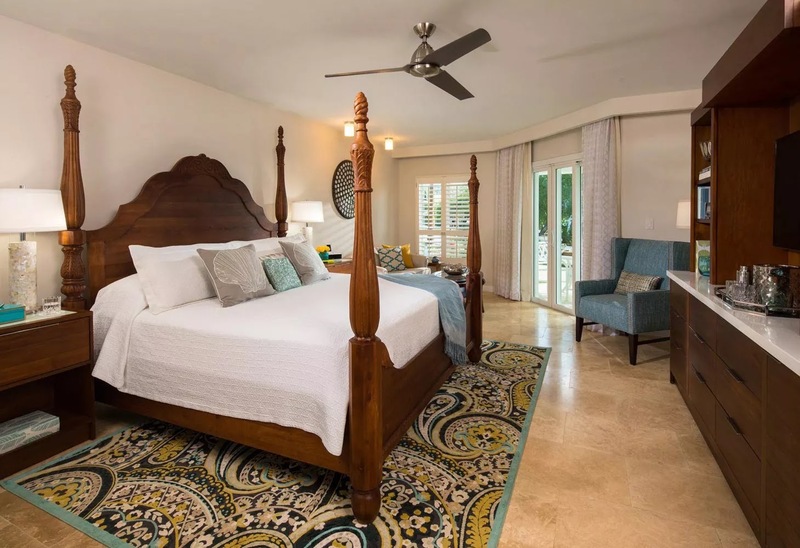 Each resort includes a wide array of room choices, each coming with its own price. 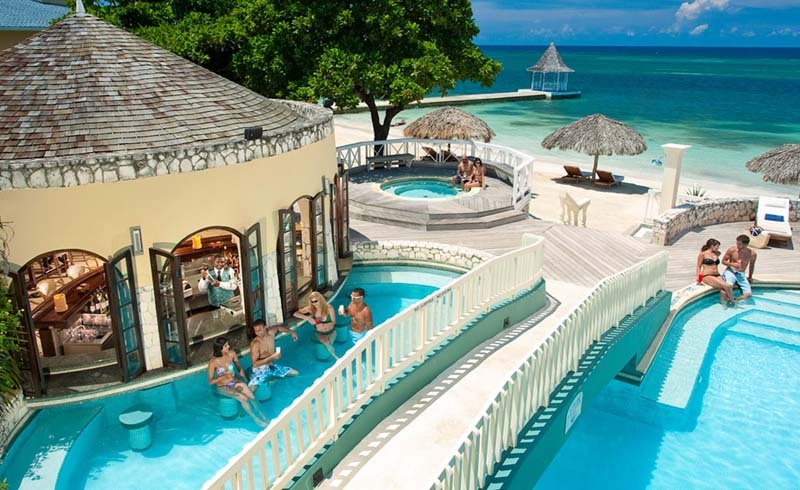 At Sandals Jamaica South Coast, for example, there are 19 room types at a resort with 360 rooms. Do you want to be able to swim up to the room? Do you want a bungalow over the ocean with a Plexiglas floor cutout for observing the crystal-clear water and sea life? Upscale rooms like these require committing to butler service and spending several thousand dollars per day. It will take time to sort through the room types, some of which come with near identical prices. Because there are relatively few rooms in each category, the individual room types often sell out. 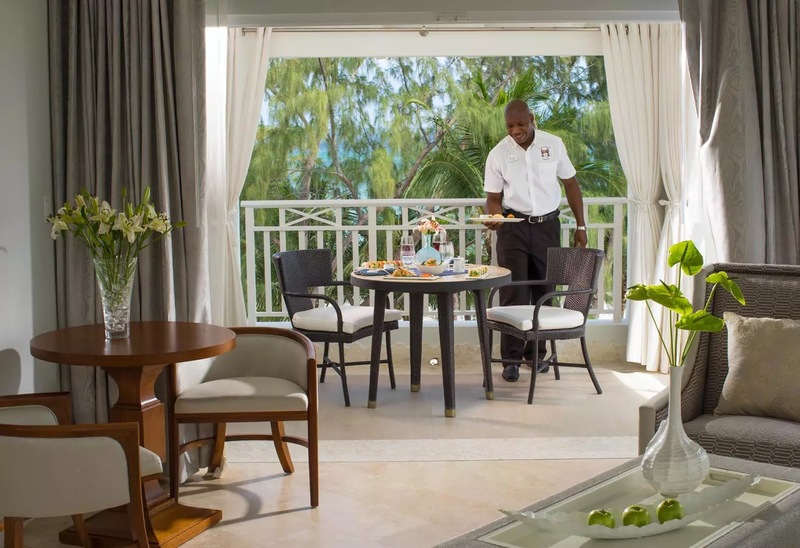 No matter which level of service or room type selected, Sandals guests can walk into a restaurant or bar and order whatever is on the menu at no additional cost, even if gourmet food or premium liquor is part of the request. For example, if you order a simple strawberry daiquiri to sip beside the pool, the bartender will prepare that drink with whatever rum is on hand. But if the order includes a specific brand of rum—even a high-end selection—your directions will be followed. Both of those drinks are paid for in your rate, so why not order the one you want? This is the very definition of all-inclusive, but rare in practice at most resorts. Be detailed and specific! 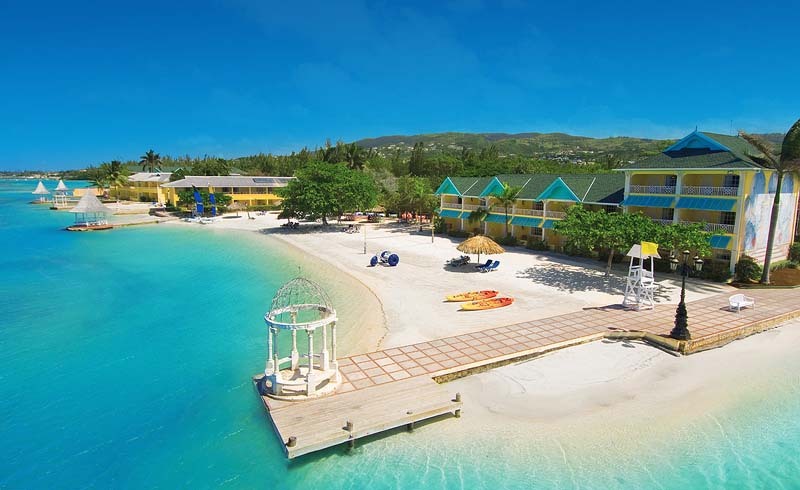 Sandals offers group rates that include free rooms. From about Labor Day until Christmas, a sixth room is free. From January 2 until the end of August, the 12th room is free. Both deals require stays of at least three nights. It always pays to ask for the best deal possible if you are bringing in a number of guests. In most other travel settings, room service is expensive and disappointing. At Sandals, a healthy percentage of all guests are eating in their rooms on a daily basis. At club and butler levels, this normally pricey perk is paid for in full. So order, relax, and enjoy breakfast in bed or a romantic candlelight dinner in complete privacy. Because Sandals has made this a signature benefit, servers are quite good at getting hot food to you quickly. Travel agents and Sandals marketers will tell you to bundle the resort cost with airfare for a better deal. But there are times when this process results in little or no savings. Much depends upon the airports and seasonal timing of the trip. However, always run price quotes with and without airfare. Sometime, a pleasant surprise awaits. If you stay in a city with multiple Sandals resorts, you can travel between resorts to enjoy something your property doesn’t offer. Sandals provides a complimentary shuttle service between the resorts. Shuttle between resorts and walk around, just for a quick change of scenery. You might discover a restaurant that offers your favorite entrée, unclaimed tennis courts or a scuba class with room for more students. Golfers use this benefit frequently to visit new courses. Sometimes, guests will prefer another resort’s stretch of beach. These opportunities are present in Montego Bay and Ocho Rios in Jamaica, Castries in St. Lucia, and St. Lawrence Gap in Barbados.